The Aurangabad Bench of Bombay High Court set aside en masse termination of Law Officers of the State, terming it as “arbitrary and illegal”. The Officers had been accused of indulging in conduct incompatible with their duties as a Law Officer, after they had filed a Contempt Petition against the State. The High Court held that if a wife files false criminal case against the husband and his family members in which the husband and his family members ultimately gets acquitted, it amounts to cruelty. Justice R.D Dhanuka said that on this very ground, the Husband is entitled to seek divorce from the wife. Justice M.S Sonak of Bombay High Court made some realistic observations about the trauma faced by children, as victims of egoistic clash between their parents. The court said that parents should even attempt to use the children as ‘pawns upon the Chess Board they have chosen to spread out for themselves’. 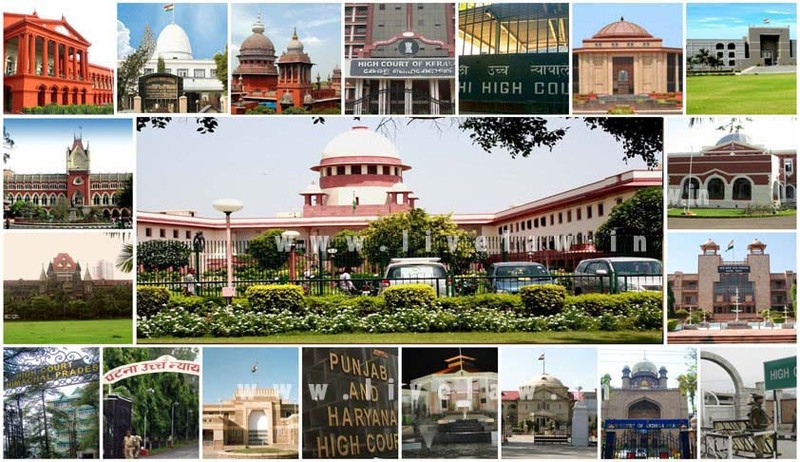 The High Court directed the Central Government to consider adopting Zero tolerance policy towards drunken driving by making suitable amendments in the Motor Vehicles Act. A Division Bench of Justices A.S. Oka and G.S. Patel, said that it finds no reason why any person who has had any amount to drink should be permitted to drive at all. The Delhi High Court upheld the conviction of two Police officers in a 19 year old custodial death case. Justice Indermeet Kaur said that the police officers deserve no leniency even in the sentence of 10 years Rigorous imprisonment imposed on them by the Trial court. The Court however, acquitted one constable Ramesh Chand and a Doctor who was convicted for framing incorrect report. The Delhi High Court in Nitu vs. GNCDT, dismissed the challenge to the vires of Section 18 of Immoral Traffic (Prevention) Act, 1956. First bench comprising of Chief Justice G. Rohini and Justice Rajiv Sahai Endlaw also held that show-cause notice under Section 18(1) is not mandatory to the occupants/residents before evicting them. Criticizing public transport as ‘insufficient’, a Division Bench of Delhi High Court on Wednesday asked the Delhi Government to consider if the odd-even policy could be discontinued by Friday. The Bench, comprising Chief Justice G. Rohini and Justice Jayant Nath has asked the counsel for the AAP Government, Mr. Rahul Mehra to file an account by Friday, elaborating on the impact of the odd-even scheme on pollution in the capital city from January 1 to January 7. The court imposed exemplary cost of five lakhs on a husband for wasting the time of the Court by pressing a frivolous appeal against the Divorce decree granted against him. Justice Vipin Sanghi said that the , the Court is not bound to admit every appeal and if on initial evaluation of the appeal, it appears that the same is absolutely meritless,, the same may be disposed of summarily at the stage of admission itself. Delhi High Court in International Planned Parenthood Federation (IPPF) vs. Madhu Bala Nath has observed that Courts must be liberal and pragmatic in allowing the witnesses to depose through Video conferencing. Division Bench of Justices Sanjeev Sachdeva and Badar Durrez Ahmed said that Court should make use of modern technology so as to further the process of dispensation of justice. The Delhi High Court has upheld the divorce granted to a husband from a wife who in her written statement alleged that he is a womanizer and corrupt. Justice Vipin Sanghi observed that such reckless statements made in the pleadings would have caused immense pain and suffering to the husband, as the allegations impinge on his character and morality. Karnataka High Court held that penal provision found in Section 31 of Protection of Women from Domestic Violence Act, 2005 could be invoked against the Husband for non-payment of arrears of maintenance. Justice A.V Chandrashekara held that Section 20 of the Act separately provides for monetary reliefs. Justice Chitambaresh of Kerala High Court delivered yet another landmark judgment which has the potential to change the course of campus life in colleges in Kerala. The Kerala High Court categorically held that no student has any sort of right to obstruct other eligible students from entering the class rooms or the portals of a college under the guise of strike, agitation or ‘dharna’.